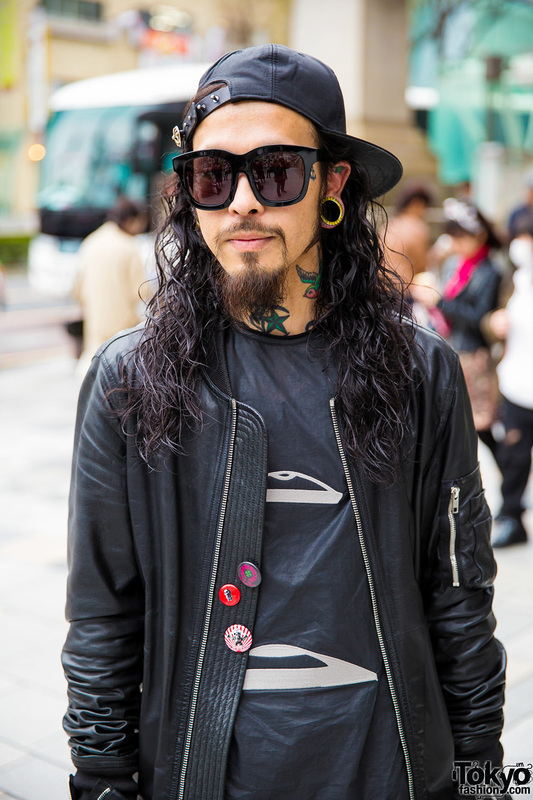 In the Harajuku street, we caught up with the hair stylist who goes by the name of Hair Salon Milk. 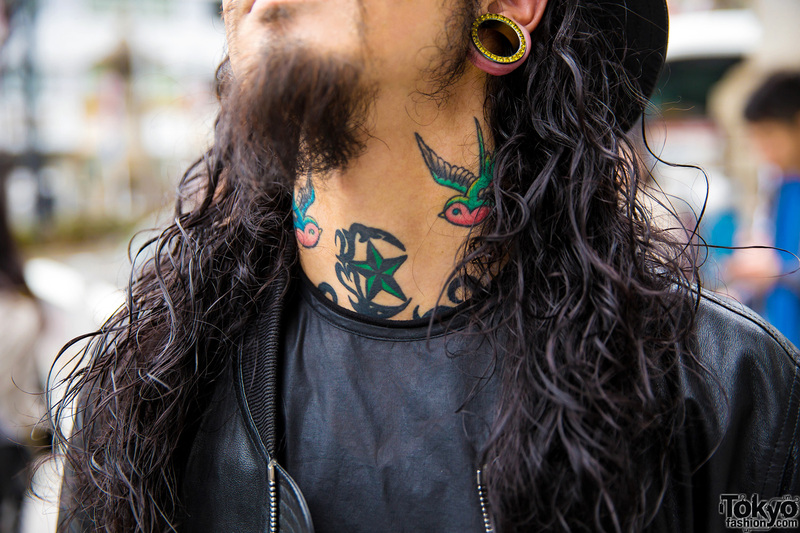 His all black street ensemble and long curly hairstyle easily caught our eye on the street. The 39-year-old – sporting a colorful neck and face tattoo – is dressed in a collarless leather jacket, worn over a long shirt with monochrome print, and matching over-the-knee shorts, all sourced from Rick Owens. 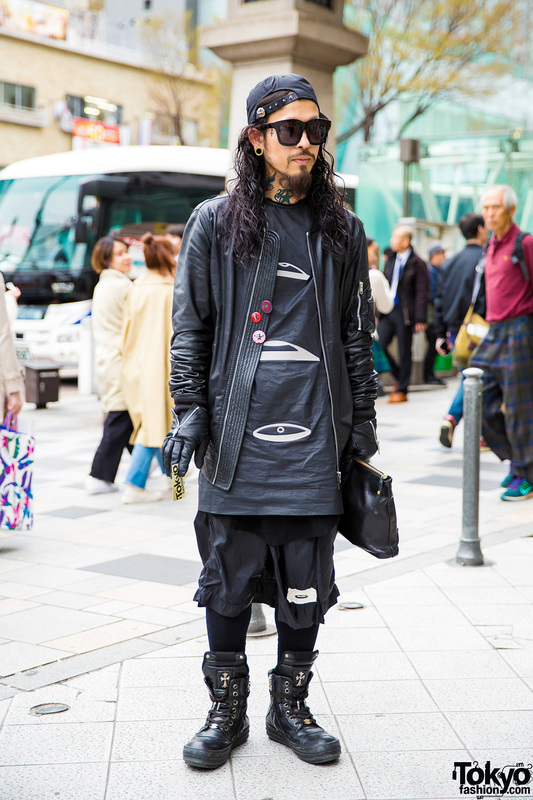 He added black tights under his shorts, lace-up boots from Chrome Hearts, and a Cornelian Taurus By Daisuke Iwanaga leather clutch. 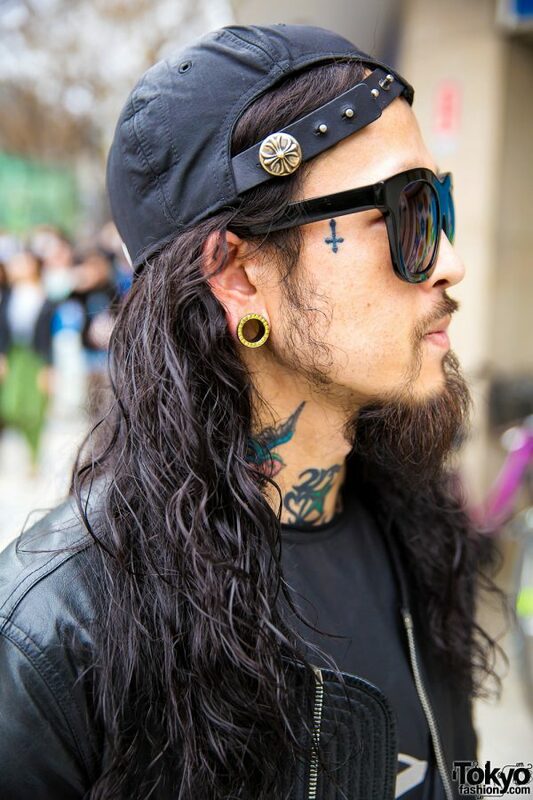 He followed through with accessories from Chrome Hearts such as a black cap worn backwards, black sunglasses, gauged ears, a leather cuff bracelet, leather gloves, jacket badges and a Rolex watch. 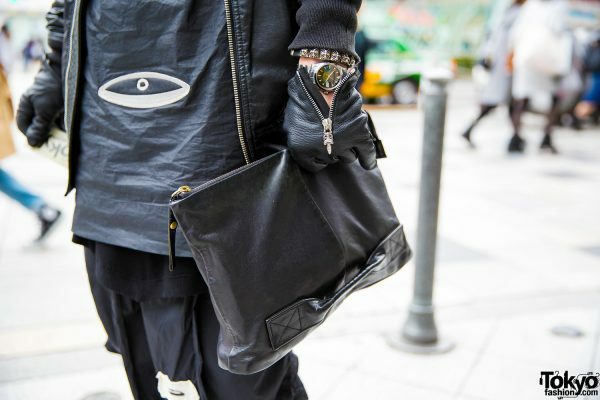 American fashion label, Rick Owens, is Hair Salon Milk’s favorite fashion go-to brand.